Scottish Highlands, 1945. Claire Randall, a former British combat nurse, is just back from the war and reunited with her husband on a second honeymoon when she walks through a standing stone in one of the ancient circles that dot the British Isles. Suddenly she is a Sassenach-an "outlander"-in a Scotland torn by war and raiding clans in the year of Our Lord . . . 1743. Claire is catapulted into the intrigues of a world that threatens her life, and may shatter her heart. Marooned amid danger, passion, and violence, her only chance of safety lies in Jamie Fraser, a gallant young Scots warrior. What begins in compulsion becomes urgent need, and Claire finds herself torn between two very different men, in two irreconcilable lives. Promo delivery and presented nicely. 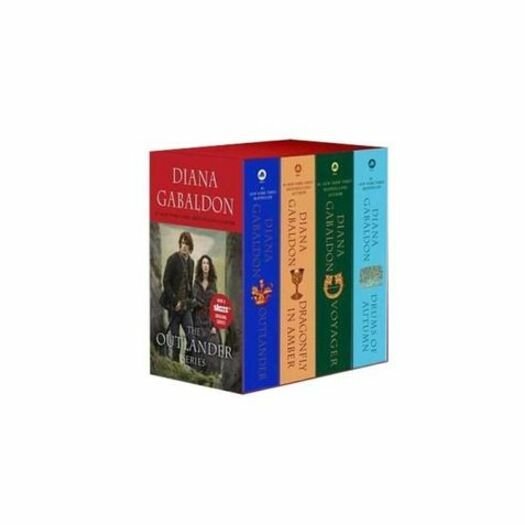 Have been waiting to get the boxed set to complete the series. Now i have the set thanks very ,much.